A new oil pipeline proposed in northern Minnesota is getting resistance from an unusual direction. Opponents say the large pipeline would contribute significantly to global warming — not so much from the oil itself, but for how the oil is extracted in Canada. Duluth, Minn. — Enbridge Energy plans a 36-inch diameter pipeline running almost 1,000 miles, from Alberta, Canada, to Superior, Wis. Dubbed the Alberta Clipper, this line would cut a diagonal across northern Minnesota. Some opposition is predictable — from property owners who would lose land to right-of-way, and others concerned about wetlands and oil spills. But this project is getting lots of flak from people worried about climate change. Janette Brimmer is with the Minnesota Center for Environmental Advocacy. 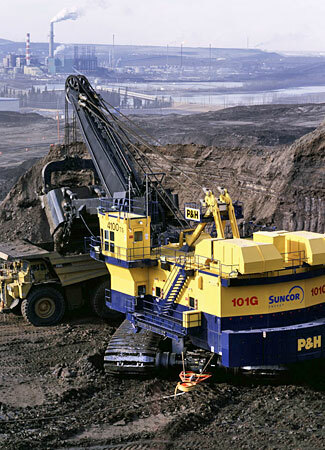 The Alberta tar sands hold a vast pool of oil, sometimes described as the next Saudi Arabia. But Brimmer says that oil comes with a cost. 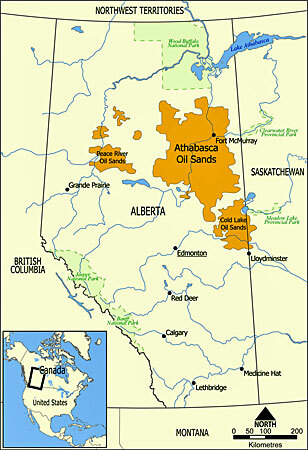 She describes the tar sands as oil-bearing dirt. Making that steam takes lots of natural gas, which she says creates significant amounts of greenhouse gasses, like carbon dioxide. Brimmer says the oil the pipeline would carry comes with too high an environmental pricetag. Brimmer says the environmental costs of the pipeline flies in the face of state environmental efforts. The MCEA is bringing its arguments to the Minnesota Public Utilities Commission, which has to sign off on the project before it can go ahead. Enbridge Energy spokeswoman Denise Hamsher says MCEA’s argument, while laudable, is baseless. Stopping the pipeline, Hamsher says, does nothing for Alberta or global warming. Bob Cupit, manager of the Public Utility Commission’s Facilities Permitting Unit, says the PUC will balance the environmental costs of construction with the expected benefits. He says there’s no established requirement to consider the source of the oil in the pipeline. But, he says, it’s not unthinkable that climate concerns could play a role. “We’re getting these kinds of debates going on in a number of different dimensions of energy supply, and we’re trying to make the distinctions between the policies that are yet unsettled, and our responsibility to review these projects,” Cupit said. Canadian officials have approved the portion of the line that runs north of Minnesota. The MCEA presents its climate change arguments May 13 and 14 in a hearing before the Public Utilities Commission. The PUC will also consider a second, smaller line that would carry a product north, from Chicago to the Alberta oil fields, to dilute the heavy crude recovered in Alberta. This entry was posted on April 23, 2008 at 11:12 pm	and is filed under Uncategorized. Tagged: alberta, alberta clipper, climate change, enbridge, environmental justice, global warming, human rights, minnesota, oil sand, oil sands, pipeline, tar sand, tar sands. You can follow any responses to this entry through the RSS 2.0 feed. You can leave a response, or trackback from your own site. Good work people. We need to end all of these pipeline projects! From here in Canada we are also working hard to deny access through Canada for the proposed Alaska gas pipeline. Our main focus here is to force the costs to a breaking point by threatening legal action, Native protest and land claim rights and Canadian rights to sovereignty over American Oil corporations. Thanks for your work and together we can fight the good fight! I guess you should all stop driving your cars then! Or, keep driving them, as long as the inconvenience lies in a different region. Then you can “pretend” that you are not having a negative impact on the environment, and sleep like a baby at night. “Out of site, out of mind I guess”. 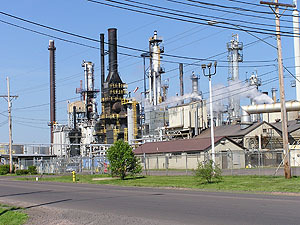 Meanwhile, the rest of us in the real world, that realize we have to drive our cars, will take advantage of this source of oil, knowing that the amount of oil that is produced from the Canadian region is just that much more that we are not sending our dollars over to the middle-east to help fund their “cause”. You can translate that as you like. Everyone loves modern conveniences, as long as they do not have to suffer any inconvenience. We have young men and women fighting over in the mid-east, risking much more than a little inconvience, arguably, for control of oil. That is what is wrong with this country, everyone has complaints, but not a single realistic solution among us. Quit jumping on the bandwagon for what could be arguably summarized as a quest for a small shred of local notoriety, and let this country progress to explore other sources of oil. This is hypocrisy at its finest. If all of you were to stop driving your cars, boats, motorcycles, or the very farm equipment necessary in this country to feed the entire world, then I guess I would stand corrected. But until then, wake up and shut up. Being an idealist is great, untill you get up out of your comfortable bed every day, and reality is greeting you right back where you left it, parked right out in your own garage! For those of you who are legitimately concerned about the environment, LEAVE YOUR KEYS AT HOME AND RIDE YOUR BICYCLE TO YOUR NEXT VACATION DESTINATION!!!!!!!!!! !